An interview with David Firey, River City Trading Post dealer. Meet David Firey, aka MUSIC MAN. David has been a dealer at River City going on 11 years now. Pretty cool, huh? 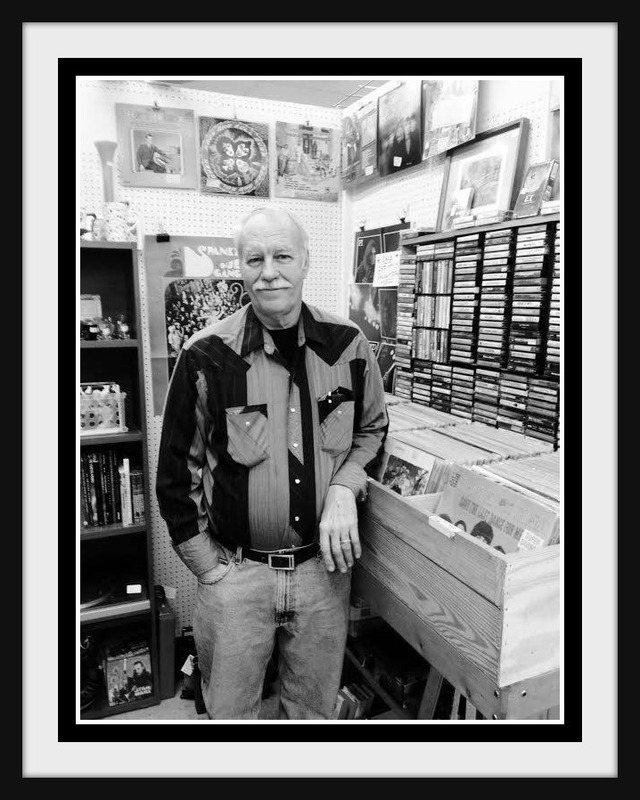 He has maintained 2 booths and sells lots of music, bottles, trinkets, gadgets, gizmos, tools, and even a few oddities. You really never know what you'll find in his space but I guarantee there will always be something interesting. DF03, does that ring any bells for our regular customers? R: So David, how long have you been in the resale business? D: I have had mall booths for about 20 years and have participated in the flea market for over 40. R Dang, that's a long time!!! R: How did you get started in the business? D: Hmmm, my mother always sold stuff. She worked for Stanley. She was a hard worker and I admired her selling skills. She rubbed off on all of us. I have 4 brothers and 1 sister. One of my brothers owns the Burnett Mansion in Sapulpa where they give tours. He hopes to one day turn the upstairs ballroom into an antique store. My other siblings own music stores and a wedding barn. We're are all in the selling business. R: What's your favorite color? R: What are your favorite items to collect? D: Records!!! I purchased a 2014 Osborne Rockin' Records book and found a Johnnie Burnett lp I own and had priced for .50 cents is worth 300.00. It's no longer for sale. R: Who's your favorite band/artist? R: What's the GREATEST treasure you ever found? D: My wife! We have been married for 16 months. I met her when I roofed her house. R: David, are you a hoarder of sorts? D: Yes, oh YES. I don't throw anything away. But I'm also a generous giver. I always have a free box of Christian literature in my booth. Who knows, maybe I blessed someone with that. R: You always have a well stocked booth. Do you have a secret storage building in Oklahoma? D: I had a house fire in 2000. My home and garage was destroyed, so I rebuilt bigger and now I am well stocked. R: What's your favorite food? D: Mexican @ Los Arco's in Sapulpa or BBQ @ J.L. 's in Pryor. R: What's the most unusual thing you have sold that you thought would be impossible? D: Two porcelain bed pans that I bought in Bentonville, Arkansas 6 years ago. I took a loss. I bought them for 15.00 and sold them for 10.00. R: What's your favorite childhood memory? D: Fishing on Rock Creek and other local ponds. R: What's your best advice to a new dealer? D: Sell merchandise that is clean and well presented. Do not clutter your booth. Allow room for at least two people to shop. Keep your merchandise reasonably priced. I don't price anything for more than what I would be willing to spend. R: Last question, tell me something about yourself that I don't know. D: I would like to write a book about my memoirs from serving in Vietnam where I served in the U.S. Army Infantry. I wrote letters and poems to all of my family. I thought it was all destroyed in the fire but my brother found it. I would really like to do that one day. We call David The Music Man because of all the music related items he sells. It was really great getting to know a little more about his life. Thanks David "Music Man" Firey! You are awesome!